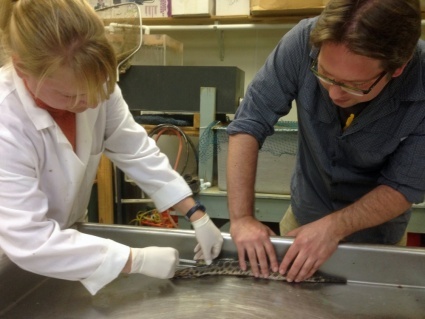 A primitive and slowly evolving fish, the spotted gar, is so much like zebrafish and humans that it can serve as a bridge species capable of leading to more powerful biomedical research on human diseases, say UO researchers. In a comprehensive, international research effort, led by the UO in collaboration with the Broad Institute at MIT and Harvard University, researchers sequenced the genome of the spotted gar — an ancient fish with hard, diamond-shaped scales and a long mouth filled with needle-like teeth. 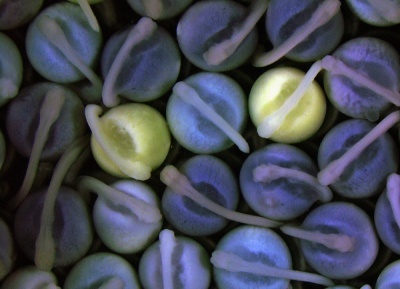 Their work is detailed in a paper published in the March 7 issue of the journal Nature Genetics. The spotted gar’s genome is an evolutionary repository of ancient genetic materials, said UO biologist John H. Postlethwait. “Many genes found in human but not in zebrafish, a favorite for biomedical research, are present in gar, and, likewise, genes present in zebrafish but not in humans are also in gar,” he said. “This relic of a fish retains ancestral characteristics lost by other fishes or humans. In addition, numerous pieces of genetic material that have been minimally altered by evolution and do not function like regular genes are found in gar and are often tied to human diseases, but they are not directly detectable in zebrafish, he said. Biomedical researchers should be able to identify a disease-associated genetic region in humans, locate the corresponding region in the gar and insert it into the appropriate place in zebrafish or other fish models to potentially understand disease development. The genetic importance is traced to some 450 million years ago, when bony vertebrates split into two major groups. Lobe-finned fishes went one way and ray-finned fishes another. Humans and other limbed creatures emerged along the lobe-finned line. The ray-finned line resulted in so-called teleost fishes. Teleosts are the most common fish known today; they incude zebrafish, stickleback, salmon, tuna, halibut and about every fish found in a home aquarium. Gars split off the ray-finned evolutionary line before a genome duplication gave rise to teleost fishes. 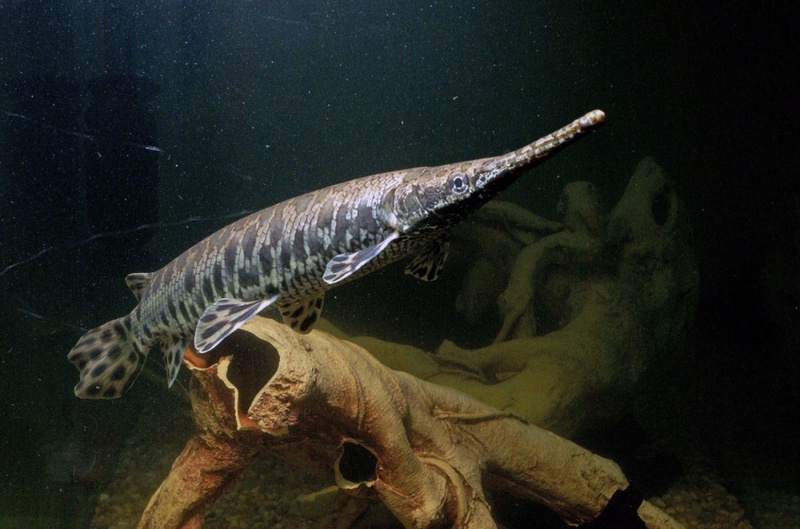 As a result, the gar maintained a conserved genetic makeup, including many entire chromosomes similar to those in the ancestor of bony vertebrates. Gars are found in U.S. states along the Gulf of Mexico, up the Mississippi River to Michigan in North America, as well as in Central America and Cuba. Spotted gars collected for the research were captured in Louisiana in collaboration with Allyse Ferrara of Nicholls State University. The Nature Genetics paper was co-authored by 61 researchers from 33 institutions. The National Institutes of Health supported the generation of gar gene sequences through a grant to the Broad Institute at MIT and Harvard University and through two grants to Postlethwait.